Eye exams are crucial when it comes to maintaining your eye health. Regular checkups should occur every one to three years, depending on your eye health history and related risk factors. Children who have no eye damage or are not at risk of eye issues should see their eye doctor at Valley Eyecare Center about every two years for a checkup. On the other hand, children who wear glasses or contact lenses should be scheduled for an annual eye exam. Adults between the age of 18 and 60 should have eye exams every two years (and annually for anyone above the age of 60). Risk factors for eye problems include diabetes, high blood pressure or a family history of macular degeneration and glaucoma. 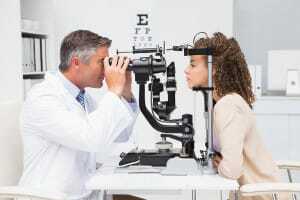 Anyone who is associated with any of these risks should schedule their eye checkups on a more frequent basis, or as recommended by your eye care professional at Valley Eyecare Center. If you have had eye surgery in the past or if your job poses daily hazards to your eyesight, be sure to schedule your checkups more frequently. We offer comprehensive eye checkups to test your vision and see if you have ocular allergies or diseases, and if you need corrective lenses to help boost your visual clarity. It is important to book your appointments in a time frame that is appropriate for you and your children’s eye health status. If you run the risk of eye damage, book an annual appointment or a time when your eye doctor sees fit. Patients with no risks and no corrective lenses are safe to book eye exams about every two years, unless instructed otherwise. Book your next eye exam with us at Valley Eyecare Center so we can help answer any questions you may have and ensure that your eyes are healthy. I’m trying to come up with a good way to get my eyes taken care of. I didn’t know that I’m supposed to be having an eye exam every two years! I’ll make sure that I go in as soon as possible.